The 70cc chainsaw segment is on fire! Two new powerhouses released the same summer. 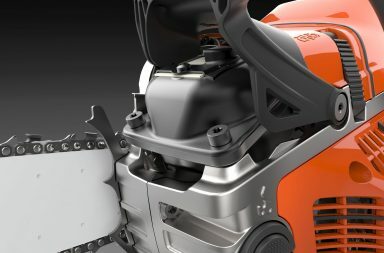 Stihl MS 462 is a new 72cc Pro chainsaw that would like to give Husqvarna 572XP a match. At Forstmesse Lucerne we got to meet the 462 for the first time, and we think it looks promising. Stihl MS 462 is available for purchase in coming weeks in Germany, Austria, and Switzerland. In Scandinavia, we’ll have to wait until February 2018. Unfortunately, North America has no set date for sales start yet according to Stihl Headquarters. We’ll have to wait and see. 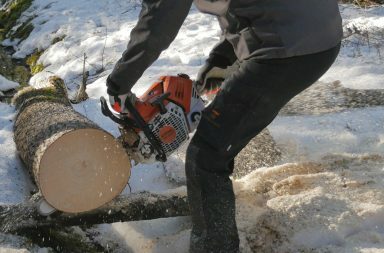 The 462 is an important chainsaw for Stihl. They are very proud of the newcomer and put a lot of belief in it. Probably there is a reason for that and one thing could be that the new chainsaw will fill in two old pairs of shoes. MS 462 will replace both MS 461 and MS 441, becoming the natural choice if you want a 70cc Stihl chainsaw in the future. Let’s be honest, the specs of the MS 462 looks very promising. It weighs in empty, without bar och saw chain, at 6 kg. With saw bar and saw chain (20″), it weighs 7,4 kg. At max, it will deliver 4,4 kW. This will give a power to weight ratio around 0,73 which is a great number. It comes standard with a 20″ saw bar along with 3/8 RS saw chain with 1,6mm gauge. 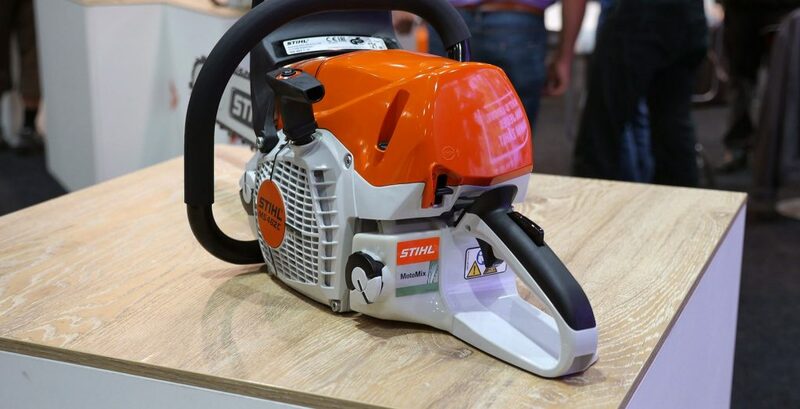 MS 462 is the first chainsaw from Stihl equipped with the newest version of M-tronic, 2.0. 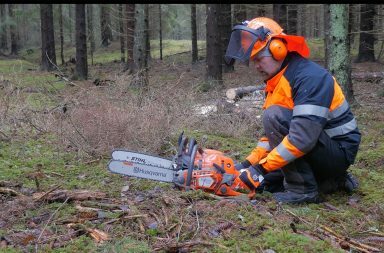 This new software for controlling the carburetor will, according to Stihl, give a lot of benefits, one of them being that the chainsaw will perform equally regardless of height above sea level. It is interesting that ES Light bars seem to be very popular in Germany, Austria, and Switzerland. 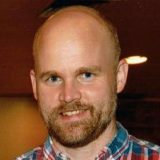 In Scandinavia, the new guide bars from Stihl has not yet gained any popularity. Stihl launched the new ES Light guide bars nearly two years ago. One could say that these bars are a 2.0 version. Stihl had Light guide bars for sale about five years ago. Some users reported that these guide bars had technical flaws, that could be one of the reasons the new ES Light bar yet not convinced the loggers in Scandinavia. How is it in North America? Feel free to comment or discuss this matter in our forum. Unfortunately, we have not yet got a chance to test the MS 462. Video below shows how the saw is built and you’ll get some more technical information.